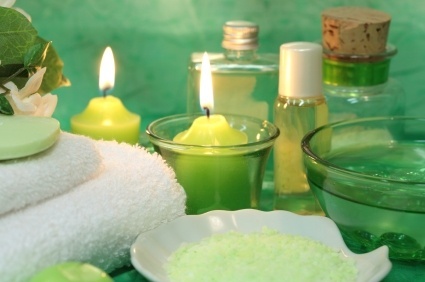 Candles are a must item for spa party decoration because they can add a soothing and relaxing ambience to your party. For decoration purpose, choose fragrant candles which have soothing scents like that of vanilla. Don’t go for intense fragrances. Place candles of different sizes all around party area and turn down other lights to give a soft and delicate effect to party. You can also place mirrors beneath candles so that light can be reflected. Plants have their natural fragrance as well as they add natural effect to your party so don’t forget to decorate a spa party with natural plants. You can scatter rose petals around party room and at the same time, you can place cut flowers in beautiful vases. Always use fragrant flowers such as roses for decoration purpose. Flowers can also be used to decorate party tables as centerpieces. To give a more tropical feel to your party, I will also suggest you adding large greenery plants. Baskets can also be used as a decorative item. You can use decorated baskets to hold towels. lotions, moisturizers, water bottles and snacks as well. Party favors can also be placed in these baskets. Decorative baskets are available in all colors and sizes so you can easily select them according to theme color of spa party. 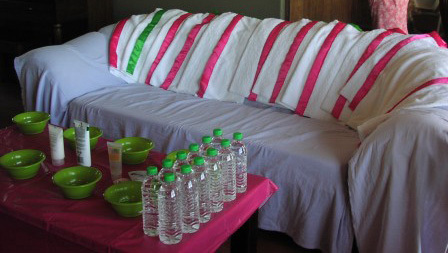 For making dressing areas, hang white sheets of clothes from ceiling so that your guests can change into spa dresses. White color is recommended because it gives a simple and clean look and makes your guests feel more comfortable. Also drape white cloth on furniture like tables, chairs and sofas. It will not only become a way of decoration but also save your furniture from accidental stains. Another item which I strongly suggest is indoor fountain. Sound of moving water gives a feel of tranquility and serenity. 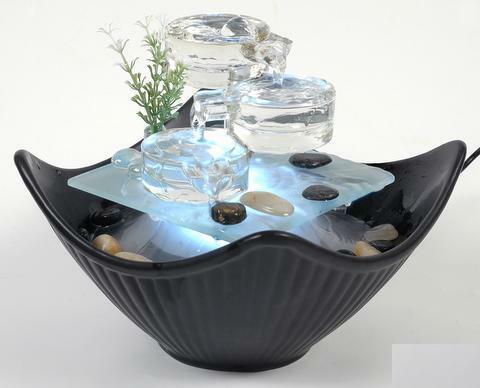 You can place a small tabletop fountain as a centerpiece if you don’t want to use a larger one. 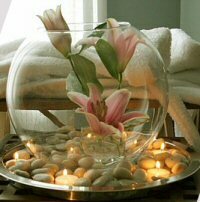 These were some of the decorative items which you can use while decorating your spa party. I hope you will like my ideas and follow these as well.